Despite the fact there’s snow on the ground where I live in Richmond, VA, the calendar says it’s spring. That’s important because flowers are as synonymous with spring as new releases of AutoCAD. Today Autodesk announced the release of AutoCAD 2019. 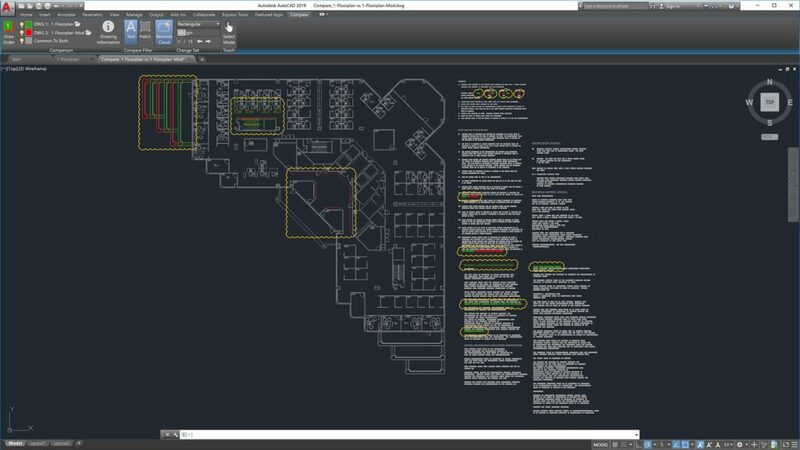 While in years past the focus has been on enhancements to the general design and documentation tools AutoCAD is known for; this year is a bit different. 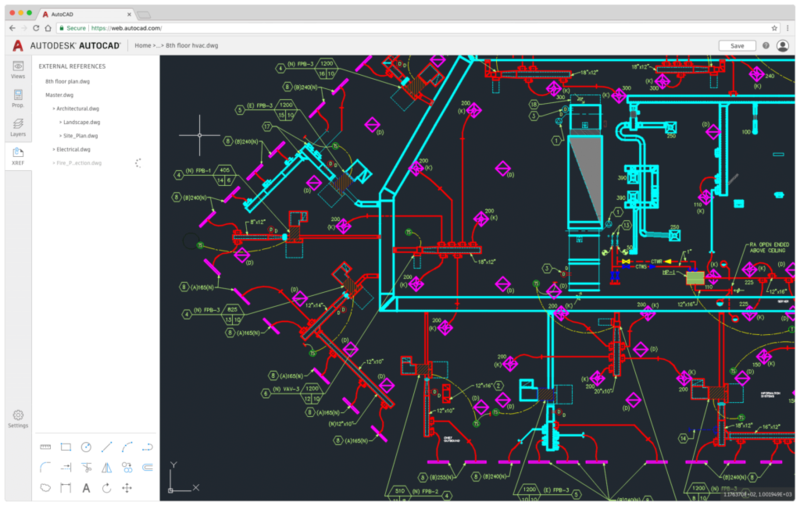 Although there are new features to talk about inside AutoCAD 2019, that’s not the biggest news this year – One AutoCAD is. There’s a lot to be excited about with One AutoCAD, and this post will only scratch the surface of what it means to you. Stay tuned for our continued coverage of AutoCAD 2019 over the coming weeks, but for now, let me introduce you to AutoCAD 2019! The most impactful news related to AutoCAD 2019 is undoubtedly the introduction of Specialized Toolsets. Otherwise known as One AutoCAD, specialized toolsets essentially consolidate the AutoCAD product line into a single product offering. 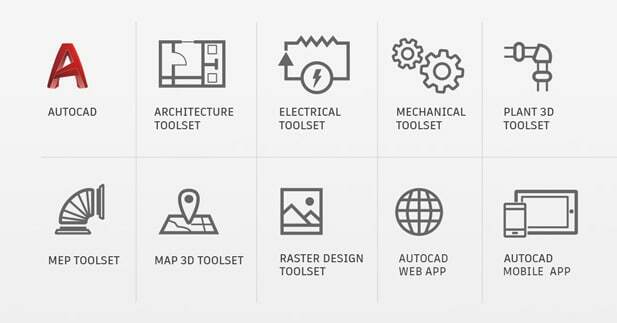 Former vertical products such as AutoCAD Architecture and AutoCAD Map 3D are now Specialized Toolsets. Functionally, this shift is mostly just a rebranding of AutoCAD vertical applications to Toolsets. The installation experience remains the same as installing AutoCAD plus any number of AutoCAD vertical applications. Although AutoCAD with Specialized Toolsets certainly delivers more value than ever to AutoCAD subscribers, I do wish Autodesk would have offered a unified install experience for AutoCAD and its many Toolsets (something akin to the former Autodesk Design Suite installers). Beyond the mechanics of installation, your access to AutoCAD with Specialized Toolsets is something you’ll likely want to speak to your reseller about. Although all new subscriptions to AutoCAD now include Specialized Toolsets, existing subscriptions to AutoCAD and AutoCAD verticals are unchanged at launch. Generally speaking, you can switch your AutoCAD or AutoCAD vertical subscription to AutoCAD including Specialized Toolsets at no charge for the remainder of your term. There are some exceptions to this policy that a reseller such as CADD Microsystems can help determine whether they apply to you. Beyond the introduction of One AutoCAD, we see several new features added the conventional (Windows) version of AutoCAD as well. 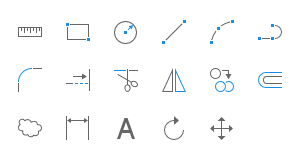 One of the first things you’ll likely notice upon opening AutoCAD 2019 for the first time is the refreshed icons throughout the interface. This is not a significant update to the user interface, but instead a modernization of the icons used throughout the interface. The new icons move away from the heavy gradients used in previous versions, opting for a flat design language instead. It’s a matter of personal taste, but I really enjoy the new icons, and find the flat icons far easier to identify. Speaking of identification, AutoCAD 2019 eliminates a longstanding annoyance I’ve had with the Status Bar. When looking at the Ribbon you can quickly identify what toggles are enabled, and which are not by looking for a blue background. The blue background indicates a specific toggle is currently enabled. By contrast, the design language in the Status Bar has been what I can only describe as a glowing line effect. Gone is the glowing line effect in AutoCAD 2019, and Status Bar icons now have a blue background like their counterparts in the Ribbon. Once you get past the subtle user interface updates, the flagship new feature in AutoCAD 2019 is a brand-new Drawing Compare tool. Although there are indeed similarities between this new tool and the compare tool found in AutoCAD Architecture (err the Architecture Toolset), the compare tool was built from the ground up. 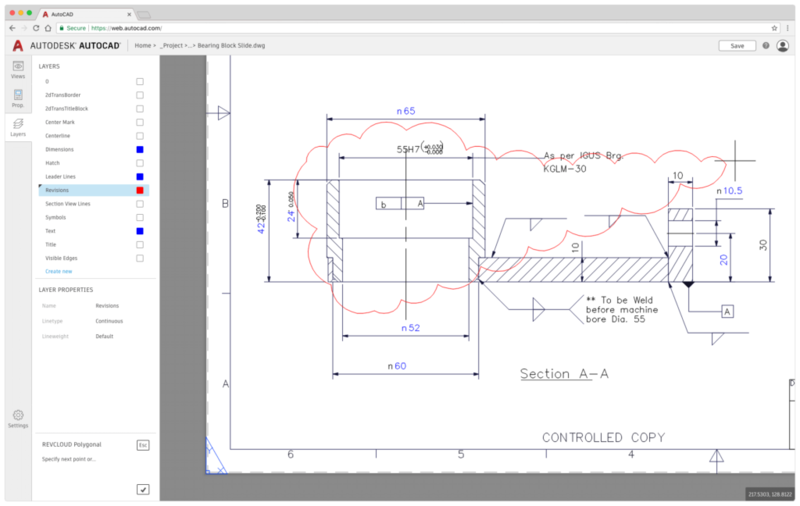 Quickly identify and place revision clouds around what’s changed between drawing versions with AutoCAD 2019. 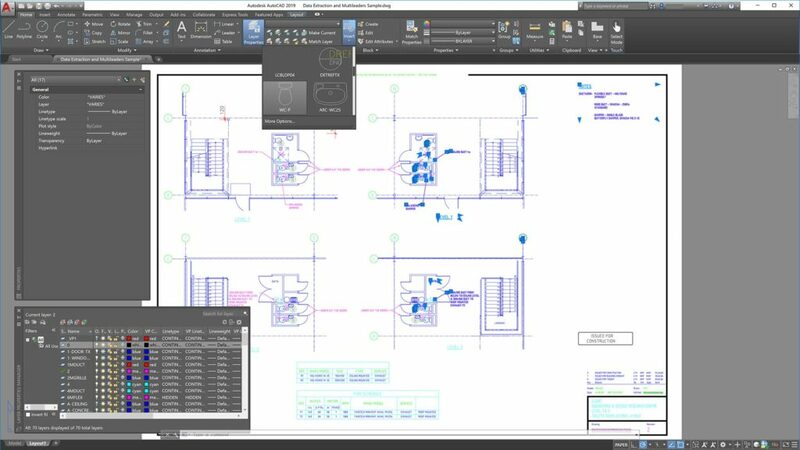 Although I come across few AutoCAD users who leverage the Design View functionality inside AutoCAD 2017 and 2018, the new Shared Views feature is one that excites me for its evolutionary impact on the industry. Collaboration today almost always means converting a DWG file into a new file format everyone on the project team can open – typically PDF. Although PDF is an excellent way to archive final plans, I find it’s rarely implemented in a way that allows for rapid collaboration among project teams. This type of rapid collaboration is where I find the new Shared Views functionality inside AutoCAD 2019 to be most valuable. With just the click of a button in AutoCAD, I can forgo converting my drawing to PDF, and instead share a simple link with project stakeholders in a fraction of the time. Stakeholders can then view, review, measure, comment, and markup the drawing view I shared using Autodesk Viewer inside their web browser. Publish Shared Views from AutoCAD 2019, and then view in a web browser. Beyond the inherent time savings for design teams, Shared Views also help streamline collaboration workflows for project stakeholders. As a web-based tool, stakeholders can focus on intuitively offering their feedback, not investing time installing new software or making sure it’s up-to-date. Shared Views do expire after 30 days, but you always maintain control of the links you create. You can terminate links you no longer need or extend those you need to keep. As much as I’ve enjoyed Shared Views in my testing, I also recognize this is a radical departure from the way teams typically collaborate today. Though I do see benefits of this workflow for both designers and stakeholders, I believe the adoption of Shared Views will be evolutionary at best. Beyond the new features exclusively available to AutoCAD 2019, users also receive access to the new features Autodesk added to AutoCAD 2018 in the fall with its AutoCAD 2018.1 update. My personal favorite feature from that update was the new Views and Viewport functionality. If you missed the update, I wrote a blog post and recorded a video about the update titled Sheet Setup Made Easy with AutoCAD 2018.1 Views and Viewports. In addition to the new Views and Viewport functionality, AutoCAD 2018.1 also added several new Layer tools. This new collection of Layer tools primarily focus on letting users more easily identify and manage Layer Property Overrides – especially through External References. 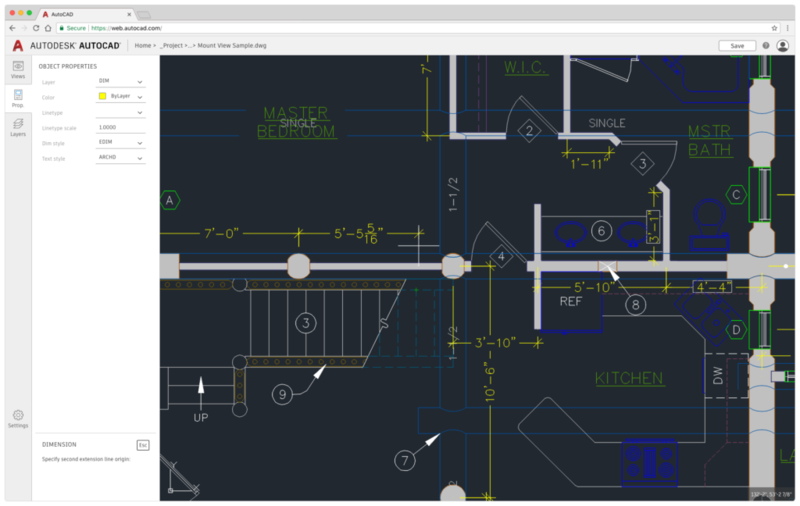 In case you missed it, you can learn all about the new features of AutoCAD 2018.1 from the Official AutoCAD Blog. As I wrote about the release of AutoCAD 2018 last year, one of my key observations was the way Autodesk was working to modernize the then 35-year-old codebase that is AutoCAD. In summary, I found the 2018 cycle to be more about putting the necessary infrastructure in place to do amazing things in the coming years. Seeing AutoCAD 2019 (for Windows) for the first time, I simply figured this was another year of building infrastructure for great things in the future. That was until I had my first look at AutoCAD Web. The new version of AutoCAD Web is not AutoCAD WS or AutoCAD 360 of yesteryear – or even a continuation of those projects. AutoCAD Web is now powered by the same underlying engine as the (Windows) desktop version of AutoCAD. Put simply, AutoCAD Web is the desktop version of AutoCAD running in a browser. 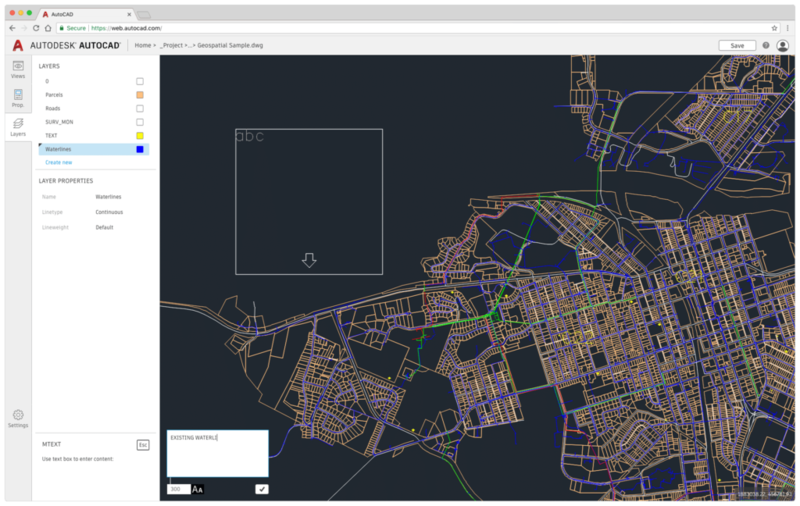 Recognizing how ambitious of an undertaking running AutoCAD in a browser is, I was hopeful the team could pull it off but apprehensive about how great it would be in its initial version. Taking AutoCAD Web for a test-drive, I am genuinely impressed by what Autodesk has accomplished. Using the above commands, I was able to draft a simple floor plan in about the same time it would have taken me with AutoCAD 2019. I plan to conduct an in-depth review of AutoCAD Web in a future post, but my first impressions are incredibly positive. 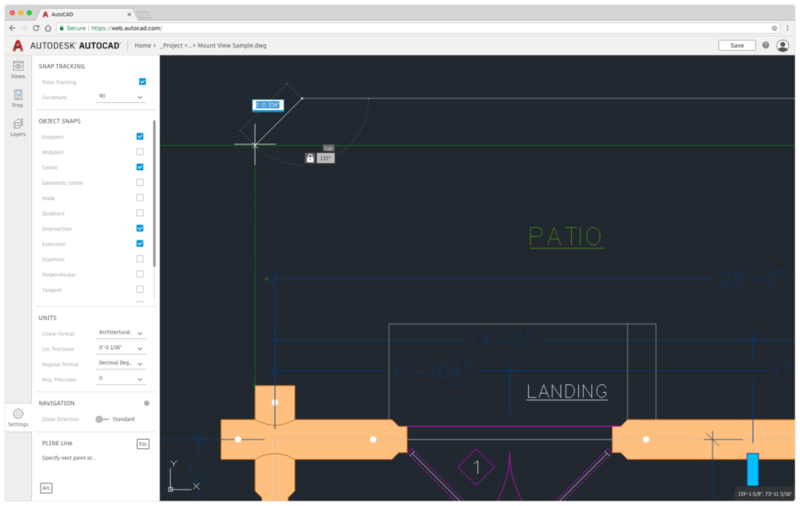 Although features like Shared Views discussed earlier are additions I feel the industry will have to evolve towards using, AutoCAD Web is something I can see teams realizing an immediate return from. Because of its desktop DNA, the web version appears to be a plausible alternative to the desktop version for passive AutoCAD users, and an invaluable supplemental tool for active AutoCAD users. 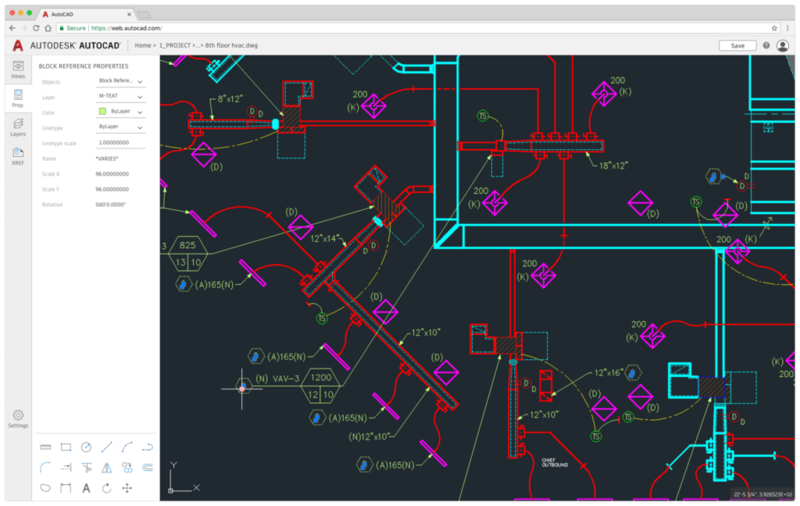 The significance of AutoCAD 2019 is not so much about the new features added to the Windows version, but instead the manifestation of the long-prophesized promise of anywhere, anytime access to the power of AutoCAD. One AutoCAD simplifies the previously complex web of numerous vertical flavors of AutoCAD into a simple-to-understand package. A single subscription now provides customers with the full AutoCAD experience with over a half-dozen Toolsets (formerly known as AutoCAD verticals). Looking beyond the desktop, AutoCAD Web begins to pull back the curtain of what I believe to be the future of AutoCAD. 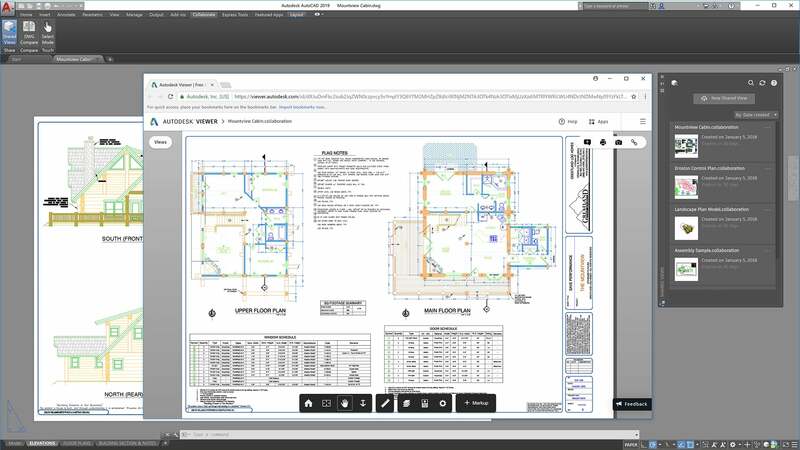 Prior to this release, I was apprehensive Autodesk could deliver a desktop-caliber AutoCAD experience in a browser, but that’s precisely what they’ve done. Likewise, being a web-based tool, I expect we’ll see numerous updates to AutoCAD Web throughout the year. Bottom line, I’m genuinely excited by everything AutoCAD 2019 delivers, and can’t wait to help my customers out with it as they find creative ways to apply it to their business. 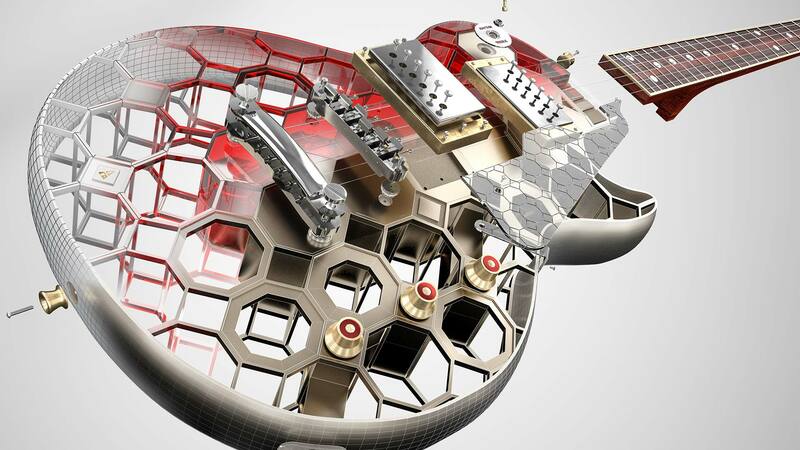 Want to maximize your subscription to AutoCAD and your other Autodesk products? Fill out this quick form to set up a meeting to discuss how I might be able to help your organization. Such a great and informative post indeed on AutoCAD, I really appreciate it! Keep updating stuffs like this…….. This was really informative as there are very few decent blogs pertaining to AUTOCAD in depth . Thanks for your valuable information. Autocad software i also use. This are so helpful. thanks for writing this blog and sharing this with us as going through various blogs I find one more knowledgeable blog you can vist there. It as useful as yours. I see nothing that will increase productivity in this release. It’s a pipe dream that no one is using in real life. Until different municipalities coordinate better it is a waste of effort. is this allowed to be shared prior to Autodesks embargo? Thanks for your feedback. Although I was not compensated in any way for this post, I do maintain a detailed disclaimer page that discloses any assistance I receive in my coverage of the industry (http://thecadgeek.com/about/disclaimer/). Specific to your inquiry, my intent for this post was to discuss changes for end-users, as I do have plans to talk about subscription implications in an upcoming post.